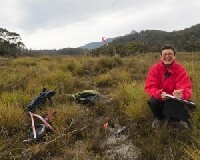 2016 was a busy year for The Analytical Edge, and included analyses such as estimating the abundance of Tasmanian devils, assessing the efficacy of virtual fence technology to reduce roadkill, assessing sea bird by-catch mitigation measures, and ended with some fieldwork on buttongrass moorlands near Mt Anne! Statisticians can be trusted in the field apparently ;) May 2017 be equally as fun and interesting. We wish everyone a peaceful and healthy 2017! 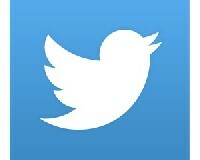 I've finally joined the modern era and joined Twitter! Posts will be restricted to all things science and publications, follow me if you fancy at Joanne Potts (@AnalyticalEdge). Parliamentary inquiry in the presence of deer in Tasmania. 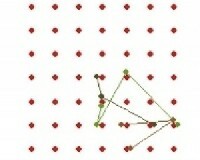 Check out the latest issue of the Wildlife Society Bulletin to read our article on the merits of spatially explicit capture-recapture and trapping point transect techniques to estimate animal abundance. We used the Key Largo woodrat as a case study species. Happy reading! 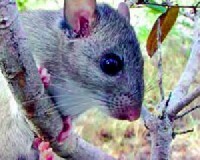 Jane Goodall's blog recently featured a piece on the Key Largo woodrat. Please contact me directly to clarify the details in the piece. Our research paper with colleagues from the Royal Hobart Hospital has been published this month in Anaesthesia. 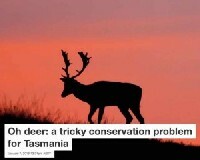 The complex issue of managing fallow deer in Tasmania was highlighted again by my co-authors Ted Lefroy, Chris Johnson and David Bowman from the University of Tasmania in The Conversation recently. A great read. 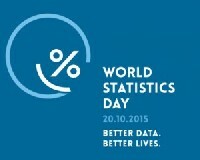 Today is World Statistics Day, see the link below for many events in your area. Click here to see the list of events. I was pleased to accept an award at the recent Australian Mammal Society conference held here in Hobart for "Best Speed Talk". My talk was on Fallow Deer in Tasmania, with content described in more detail in our recently published paper in Wildlife Research. It was a fabulous week. 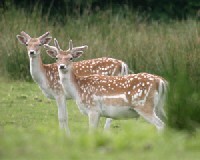 In collaboration with colleagues from the University of Tasmania, we have recently published an article in the journal Wildlife Research that predicted the future range and abundance of the fallow deer, Dama data, in Tasmania, Australia. The motivation for this study was to provide a scientifically robust preliminary estimate of the future population range and abundance of fallow deer in Tasmania under different management scenarios. This research can be used as a basis of discussion between conflicting stakeholders (namely, government agencies, farmers and graziers, and the hunting association) of how to manage deer within the state. See the journal article here. 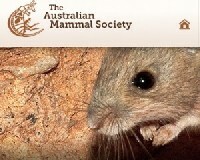 March 2015: In collaboration with colleagues from across Australia, we have recently published an article in the Journal of Applied Ecology, whereby we conducted a field experiment to measure the effect of predation by low-density cat populations on the demography of a native small mammal. We used a capture-recapture survey to monitor abundance estimates of the native rodent, Rattus villosissimus (pictured, photo credit: Dene Steinberg), and a camera survey to monitor incursions by feral cats and dingoes, Canis dingo. 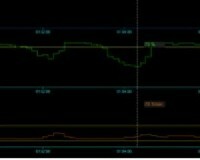 We found that where cat incursions were frequently detected the rat population was rapidly extirpated (within 3 months). You can read the article here.